The time of reprises is here and while there are a number of songs being remade again in B-town, here's yet another song we bet you'll fall in love with. 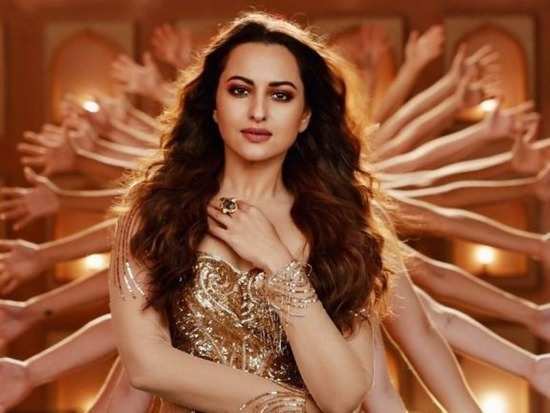 The song is from the film 'Total Dhamaal' and ever since the film's trailer was released, the audience has been waiting with bated breath for the film to come out. While the trailer promised loads of drama, comedy and entertainment, the makers have now released a song titled 'Mungda' which is the recreated version of the iconic song of the same name. The multi-starrer film features a spectacular cast including Ajay Devgn, Madhuri Dixit, Anil Kapoor, Riteish Deshmukh, Esha Gupta, Arshad Warsi, Boman Irani, Johnny Lever and Javed Jaffrey. Helmed by Indra Kumar, 'Total Dhamaal' is all set to hit the big screens on 22nd February. Stay tuned for more updates. 3Priyanka Chopra and Nick Jonas' latest pictures will make you want to head for a vacation! 6Will Sonam Kapoor play the leading lady opposite Akshay Kumar in 'Sooryavanshi'?